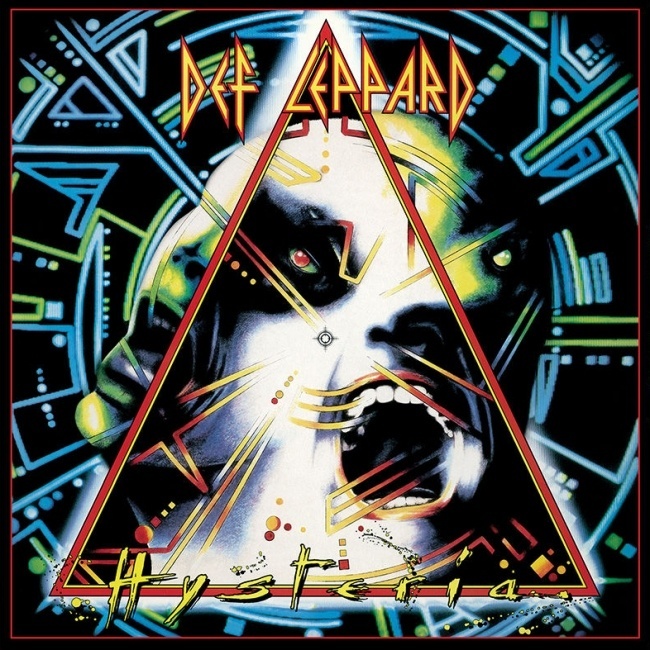 Def Leppard's classic Hysteria album was certified as 3 times platinum in the USA 28 years ago on this day in 1988. It replaced Van Halen's 'OU812' at the top of the US charts on 23rd July 1988. It would go on to spend 6 weeks at number one (including a 3 week stint in September) and 133 weeks in total on the chart. On 14th January 1988 it had sold 3 million copies after two singles 'Women' and 'Animal' had been released. Two days later the third single 'Hysteria' entered the chart at Number 66. By 4th January 1989 it had sold 9 million copies.